If you want to transform lives and make a positive impact on the world, and get paid good money to do it, this program will change your life. You’re about to discover a proven transformational training program that will qualify YOU to empower others to overcome their biggest blocks and achieve their most ambitious goals. If you lead, teach or manage people in any capacity, introducing personal-development training to your work will help them become successful on the job, in their careers, and personally as well. Even if you don’t manage people but have a desire to change the trajectory of your career to launching your own personal development business this program is still right for you. Whether your audience is in the hundreds or thousands, in small group settings or even one-on-one -- you’ll have all the techniques, training, tools, resources and ability to transform lives like never before and better yet get the opportunity and information to launch your OWN BUSINESS. What’s better than doing what you love to do and helping others succeed while making money doing it!!! You’ll receive organized, easy-to-follow instructions detailing how to facilitate each one of my exercises, principles and processes in any training setting. These resources include student handouts, scripts to follow, plus enough of other reference materials to use in any live training or speaking engagement. You get to collaborate, share ideas, compare audience impact, and leverage joint-training opportunities. This is a powerful opportunity to connect and learn from fellow students, trainers and alumni in a robust and active community. This is designed to help you with expert advice to launch your own business or career as an entrepreneur, trainer and an expert in your chosen field. This course does not actively cover business set up and marketing information but guidance and advice will be provided. 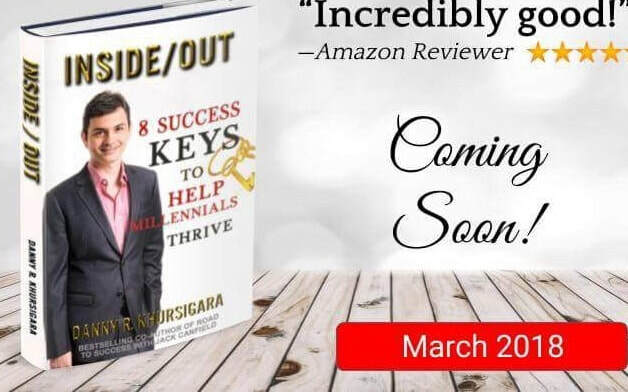 Danny Khursigara is the Founder of FreedomOne International that specializes in ‘Results driven’ Executive Coaching, Training and Business Transformation. 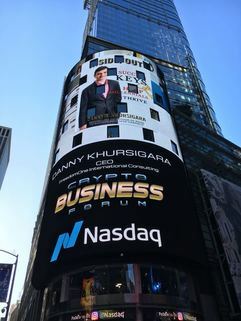 Danny helps C-Suite corporate leaders (including empowering women), managers and entrepreneurs on how to accelerate the achievement of their business results and personal goals in the shortest possible time that ultimately leads to more success and fulfillment in business and life - as both are intertwined. For the past 19 years, he worked in capacities of Chief Operating Officer & Chief Financial Officer for financial institutions globally (namely ABN AMRO, Royal Bank of Scotland, Standard Chartered Bank, Australia & New Zealand Banking Group & PriceWaterhouse) in Japan, China, the Philippines, Pakistan, Taiwan & Hong Kong. · Selected as TOP 100 Authority by Influence Magazine for 2017 as one of the highly sought after success coaches in Asia. · Co-produced the regional Emmy Nominated documentary film ‘Soul of Success’. Danny has personally trained and mentored with Jack Canfield (America’s # 1 Success Coach) in the Success PrinciplesTM and conducts private coaching sessions, public speaking, corporate trainings and ‘mindfulness’ workshops internationally. Danny has done speaking engagements, coached and trained senior executives of LVMH group, Gefran, Gucci, Royal Bank of Scotland, Aboitiz, Subaru, Dreams Poosible and many others. His goal is to impact 50,000 people in next 5 years. Maximum of 20 Students per session only as this program involves individual attention working personally with me. I limit my LIVE Completion Certificate Training to 20 profesionals because I want to ensure every participant receives my personal attention, and is fully prepared to meet the Certification Standards of being world class in your field. We welcome you to apply today and begin transforming your career with the world-class learning and experiential training the program provides (under my personal mentorship). On this journey you will build lifelong relationships, get personalized feedback, and be held accountable for applying this work in your own life before you apply it on others. With this program, you'll become a more confident and effective speaker, trainer, teacher, and leader -- and enjoy a dramatic boost in the results you are producing – whether that means making active or passive income as a Success Coach or creating change and impacting lives in your current organisation. Your training will incorporate the mind, body, emotions, imagination, intuition, awareness, and the high-self. This will result deeper awareness and lasting transformation for your students and employees. You will not only experience personal transformation with this LIVE training program, your career will undergo a major shift as well. You will add experiential learning techniques based on proven Success PrinciplesTM, (Canfield Methodology) and effective success coaching to your professional skill set, you'll be able to work with countless types of groups and individuals in effecting change in the workplace, in your coaching and counseling work, in your own company, and more. · Launch your own career as a world class Success Coach, Trainer, Speaker and Consultant. · Train your employees to peak performance and their increase productivity at no additional cost to you. · You will become attuned to your thoughts and emotions through mindfulness processes and teach others to do the same. · Within the 6 months you are required to conduct at least one video taped workshop or coaching session for hands on experience and send it back to me for feedback. What you are paying for this program is just a 'fraction' of what you will earn after the program if you apply the training with your clients and in your life. I understand that making this kind of life-changing decision requires courage. So, if you’re still trying to figure out if this program is for you, I am happy to offer it to you with a 100% risk-free guarantee. If you’re not completely satisfied with your training or certification experience at the end of the first day, let us know at the end of the day and we will refund your enrollment fee. It can’t get better than that!!! Lightworkers Center: 7th Floor, Room 701, Lee Kiu Bldg., 51 Jordan Road, MTR Jordan A. The Bank of East Asia, A/C No：015-523-68-00967-2【Lightworkers Limited】，and Whatsapp or​ email us the payslip as confirmation .